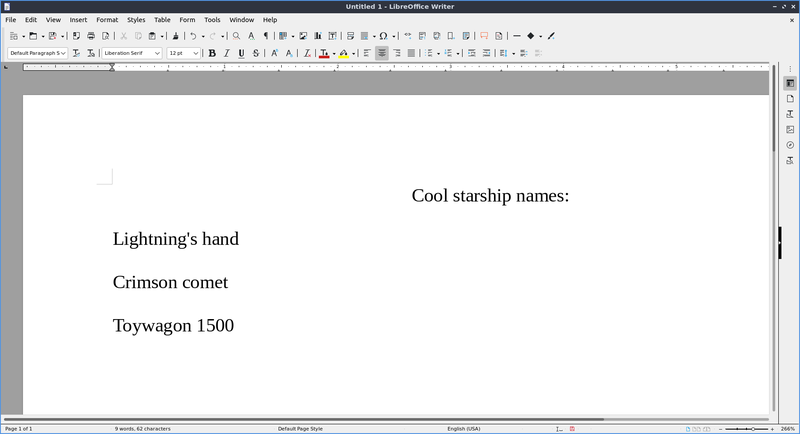 Libreoffice Writer is a word processing application that is the default on Lubuntu. 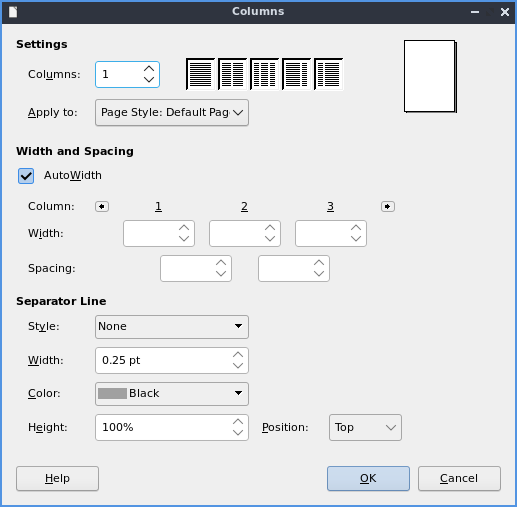 To use libreoffice writer type what you wish to type into the main part of the window. If you wish to save your data press the icon that looks like a floppy disk or press control + s. To open a previously saved document press the button that looks like a folder or press control + o. To load or save a file from the menu File ‣ Open to open a file or File ‣ Save. To save your file as a new file name File ‣ Save As. To view your recent documents File ‣ Recent Documents. To have save your file as a pdf press the button that is a sheet of paper with curved red lines on it or go File ‣ Export and select the file type as pdf. To export as a PDF file File ‣ Export AS ‣ Export as PDF. This same export menu will let you save in formats for other programs for compatibility with microsoft word. To change the font size there is a drop down box with a number in it you can type the font size you want in this box or select from the dropdown menu. You can change the font with the drop down box to the left of the font size which you can type and it autocompletes the fonts or select from the drop down menu. To make your text bold you can select the text with the mouse and press the button that looks like B or press control + B. To make the font italic press the button that looks like I or press control + I after selecting the text or keep typing with it to be italic. To have an underlined text select the text and press Control +U. To make strikethrough press the button that is a s with a line through it. If you want a floating window on how to style your text Format ‣ Character. To copy text select it with the mouse or Shift + arrow key then press Control +C or Edit ‣ Copy. To cut text select it first and then press Control +X or Edit ‣ Cut. To paste text press Control +V or Edit ‣ Paste. To paste with no formatting press Control + Alt + Shift+ V or Edit ‣ Paste Unformatted Text. To change your spacing around your character Format ‣ Paragraph. To manage your indentation and spacing between paragraphs and lines use the Indents & Spacing tab. The Before text field is how much indentation before each line of text. The After text is how much of an indent to put after the text. The First line field shows how you want the first line indented. To add a space above each paragraph increase the Above paragraph field. To add a space below a paragraph change the Below paragraph field. To change line spacing in this window change the Line Spacing field. To change alignment from this window use the Alignment tab. To change the alignment choose the Left, Right, Center, or Justified radio button to align text that way. The Borders tab has settings for your border. The Style menu lets you change what kind of line is used for the border. To change the width of your border change the Width field. To choose a different presets of border type press the buttons under Presets and will be previewed in the box below. The buttons under Position change where the shadow is relative to the text. The field Distance is how far the shadow is offset from the border. To change the color of your shadow change the Color menu. To change font color press the button that has a T with a drop on it and a red underline this will bring down several different colors you can change your text to a color you want. You can also change your font color threought the Format ‣ Character window. To make text superscript press the button with A and a smaller B located above it as if it in superscript. To make text subscript press the button that is an A with a smaller B located slightly below it. If you want text in a text box that can be moved with the mouse press the button that looks like a T with a box around it or Insert ‣ Text box. To insert a hyperlink press Control + K or Insert ‣ Hyperlink. To add multiple columns to your document Format ‣ Columns. To have multiple columns in the field that says Columns and set to the number of columns you want. When you are done with your settings press the OK button or if you decide you do not want to make changes to columns press the Cancel button. To check the spelling of your document press the ABC button with a checkmark, from the tools ‣ spelling or press f7. To view how your document looks before printing it File ‣ Print preview or Control +Shift +O. To get back to editing your document press the same thing again or click the close preview button. After you are done writing your document you can press the button that looks like a printer to print, press control+ p or file ‣ print. To change view or change your printer settings File ‣ Printer settings. To view your word count of how many words are currently in the document is with nothing selected at the bottom of the libreoffice writer window. If you select text with the mouse you can also see the word count of selection from the same spot. 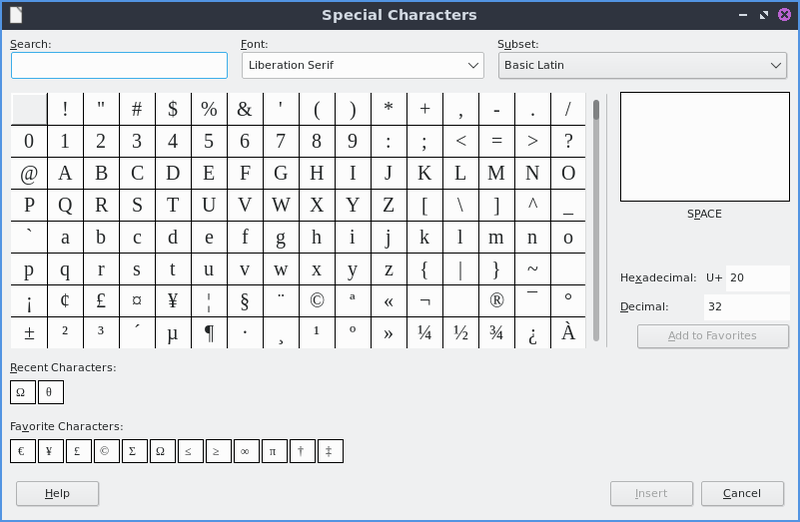 To insert special symbols or characters press the button with the Ω symbol or from the menu Insert ‣ Special character. To insert a page break press control + enter or from the menu Insert ‣ Page Break. To undo a mistake you make press control + z or press the yellow arrow pointing to the left. If you accidently undid code redo or press the green arrow pointing to the right or press control + y. Under the arrow buttons there is a drop down button that brings up a menu for which steps to undo and redo. To center your text is press the button with the horizontal lines centered or Format ‣ Align ‣ Centered. To have your text justified to the right press the button with the lines on the right or Format ‣ Align ‣ Right. To have your text aligned to left press the lines on the left with or Format ‣ Align ‣ Left. To center justify your text which will add spaces in between words to make it appears at both orders press the button that has solid horizontal lines all of eqaul length to center justify the text or Format –> Align –> Justified. If you want to change your line spacing of your document Format ‣ Spacing ‣ Line spacing: 2 for double spacing or Format ‣ Spacing ‣ Line spacing: 1.5 for one and a half line spacing. To change back to single line spacing of your document Format ‣ Spacing ‣ Line Spacing: 1. To add a list of bullet points press Shift +F12 or Format ‣ Lists ‣ Bulleted Lists. To start a numbered lists press F12 or Format ‣ Lists ‣ Numbered List. To move an item up in your list Format ‣ Lists ‣ Move Up. To move an item down in your list Format ‣ Lists ‣ Move Down. To demote a point to a subpoint Format ‣ Lists ‣ Demote One Level. To promote this point back up to its previous level Format ‣ Lists ‣ Promote One Level. To insert an image into your go to Insert ‣ Image to insert an image directly to your word processing document. To move your image around left click on it and drag the image around. To resize the image while keeping the same aspect ratio click on one of the blue boxes around the corner to resize the image. To remove an image you decide you do not want in your document press the Delete key. To rotate an image to the right left click on it to select it and right click on the image Rotate or Flip ‣ Rotate 90° Right. To rotate an image to the left right click on the image Rotate or Flip ‣ Rotate 90° Left. To rotate an image to fix it appearing upside-down left click the image and right click Rotate or Flip ‣ Rotate 180°. To get an image back to its original position Rotate or Flip ‣ Reset Rotation. To Insert a page number Insert ‣ Field ‣ Page number. To insert the current time into the document Insert ‣ Field ‣ Time. To insert the current date into the document Insert ‣ Field ‣ Date. To insert the number of pages in the document Insert ‣ Field ‣ Page count. To have a header shown at the top of each page Insert ‣ Header and footer ‣ Header ‣ Default style. To have a footer at the bottom of each page Insert‣ Header and footer ‣ Footer ‣ Deafault style. To get back to writing the main part of the document left click on the body of the document. To insert a mathematical formula into your document you are process Insert ‣ Object ‣ Formula and a user interface similar to libreoffice math will appear allowing you to insert the formula. To select all text in the document press control + A or Edit ‣ Select All. To search for text in your document press Control +F or Edit ‣ Find which pops up a toolbar on the bottom. To enter the text to search enter into the searchbar on the bottom. To go to the next result press the downward pointed arrow button. To go to the previous result press the upward pointing arrow button. To close out of finding text press red circle with the white x inside it. To not match case uncheck the Match Case checkbox. To find and replace text press Control+ H or Edit ‣ Find & Replace. To have what text you want to be find in the document to be replaced in the Find field. To have the end result of what you after replacing in the Replace field. To find and select all occurrences of the string in the Find field click the Find All button. To replace every occurrence of the word of find press the Replace All button to change everything. To zoom for the entire page to be visible View ‣ Zoom ‣ Entire Page. To zoom so you can see the width of the page and everything is bigger View ‣ Zoom -‣ Page width. To zoom to 100 percent zoom View ‣ Zoom ‣ 100%. To have a view of the document with no margins shown like on a webpage View ‣ Web or To get back to the original view View ‣ Menu. To toggle a vertical scrollbar View ‣ Scrollbars ‣ Vertical Scroll bar. To have a horizontal scrollbar View ‣ Scrollbars ‣ Horizontal Scroll bar. To toggle your view of rulers press Control + Shift +R or View ‣ Rulers ‣ Rulers. To bring up a window with properties of your document File ‣ Properties. The General tab shows metadata about the file including creation or modification time. The Descrption tab has fields to input title subject and keywords and lets you also put in comments. The Title is where you can optionally put the title on. The Subject is a field to input the subject of the document. The Keywords is to input keywords on the document. The Comments is where you can have comments about the document. To embed any fonts you have in the document click the Font tab and check the Embed fonts in the document checkbox. To insert a watermark on the background of the page Format ‣ Watermark. To change what the watermark says input that into the Text field. To change the font of the watermark change the Font field. To change the angle from horizontal text use the Angle field in degrees. To change your how transparent the water mark is change the Transparency has 100 as entirely clear and 0 as entirely opaque. To change the color of the watermark use the Color drop down pop up menu.